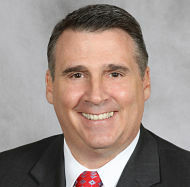 SOUTHFIELD— Plante Moran, a Southfield-based accounting firm, today announced they have taken on Troy A. Snyder as a partner in their enterprise risk assessment services practice. “I am thrilled to join Plante Moran’s Enterprise Risk Services group,” says Snyder. “The firm’s growth in serving clients in governance, risk, and compliance needs is exciting, and I look forward to being part of such an innovative group. Snyder, of Bloomfield Township, formerly served as a partner at Ernst & Young in Cincinnati and California. He specializes in internal audit and Sarbanes-Oxley compliance, along with operational and informational technology audits.